Power Strips in Krueger, McFadden and Lechner! 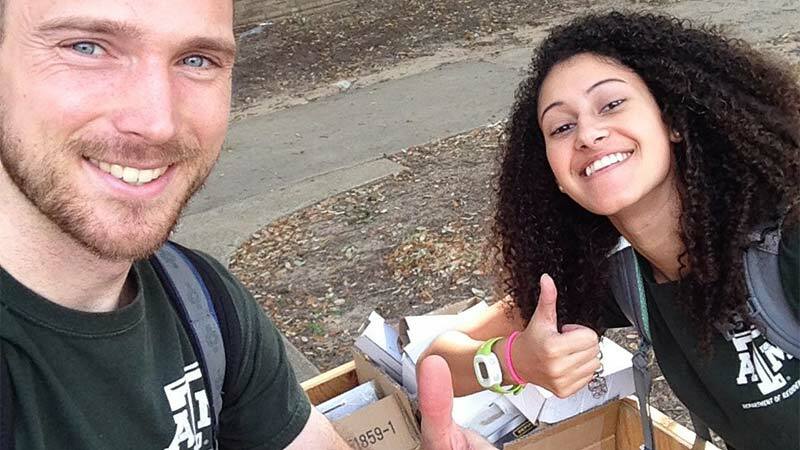 The Aggie Eco Reps started their semester on a green foot by distributing power strips to every resident in Krueger, Lechner and McFadden halls. These power strips will save energy over the course of the semester and contribute to sustainability. The Aggie Eco Reps carried each power strip up the flights of stairs and distributed them in each of the rooms in these residence halls. What a great way to start the semester! The power strips are the result of an Aggie Green Fund grant written by Brandon Carlson. Students can utilize the power strips to increase their energy efficiency. Way to go! Residence Life is excited about this next semester and all the fun we’re going to have while being sustainable. Remember to check here for all information about sustainability in the residence halls at TAMU.